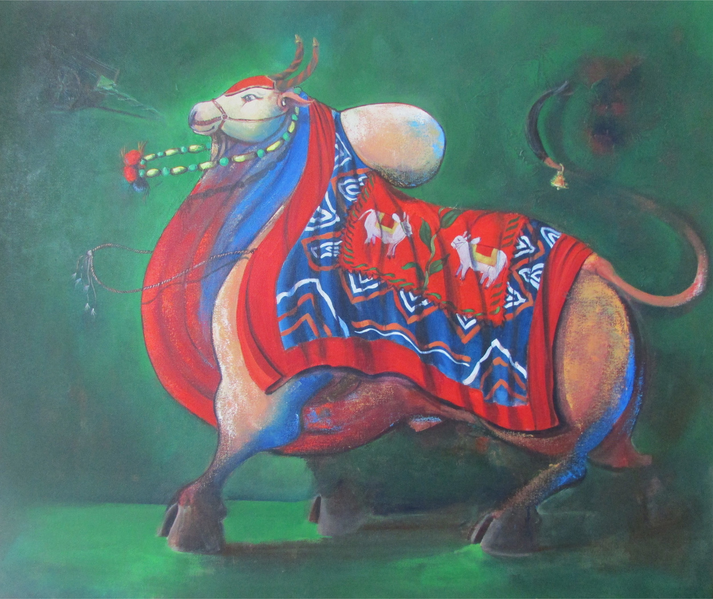 The gait with which bulls walk signify the power of a person and an angry and charged up bull is to be frightened of. 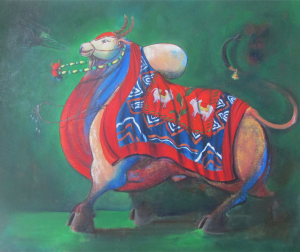 Here bull is seen with a hump. 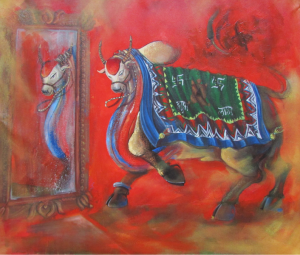 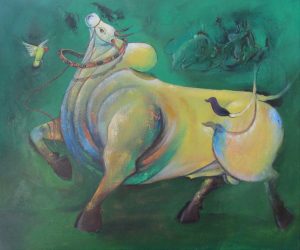 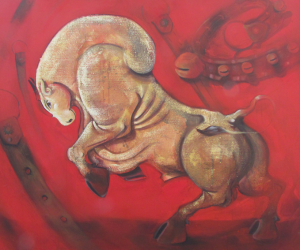 It appears the bull has been running at a very fast pace and then captured on the canvas then and there. 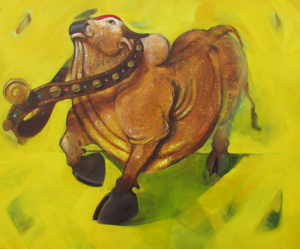 The movement of beaded neck band, the tail of bull and the swing in the complete body of bull can be felt uncannily.